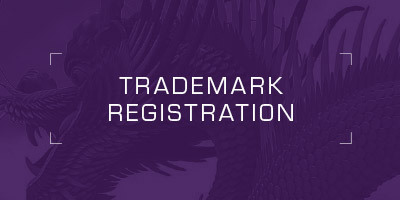 The use and registration of Chinese-language trademarks is an essential part of any marketing activity in Greater China. Local language marks are likewise critical in many other markets, including Japan, Korea and Russia. But perhaps more than elsewhere, Chinese consumers — particularly in the PRC (aka “mainland China”) — will almost always use the Chinese version of a foreign mark in oral communications. Marketing managers of foreign companies are often unaware of this and mistakenly believe that the foreign language mark will be sufficient to provide adequate protection. The failure to introduce a Chinese-language version often results in a range of negative consequences. Most common — and most serious — is the phenomenon of piracy at the register, which often results in expensive disputes and litigation, very often resolved through a purchase of the pirated mark by the legitimate trademark owner, and for a hefty sum. Other common scenarios include the invention of Chinese brands by local distributors, sometimes using characters which are ultimately inappropriate or which infringe the rights of third parties. In other cases, different Chinese brands are introduced by local distributors in the four main Chinese-speaking markets — PRC, Taiwan, Hong Kong and Macau — without the knowledge of the brand owner, thereby leading to confusion in the market, and later requiring expensive “clean-up” exercises, as the Chinese brands are ultimately unified into one. When one speaks about the “Chinese language” it is important to understand that there are in fact several oral dialects commonly used throughout China. The official dialect in the PRC and Taiwan is referred to as “Putonghua”, “Mandarin” or “Guoyu”, meaning “the national language”. Mandarin Chinese is based on the Beijing dialect and is spoken, with varying degrees of fluency, by approximately 95% of the population. Cantonese is a major dialect spoken predominantly in Hong Kong and southern China and is so different from Mandarin that a native speaker of one may not be able to fully understand the other. While oral dialects differ, they are all united by a common written language. No matter how they are pronounced, each Chinese character or ideograph conveys a distinct meaning. However, the characters used in the PRC are rendered in a so-called “simplified” version, while those used in Taiwan, Hong Kong and Macau are in the “traditional” or “complex” format. While most educated Chinese can read both styles of characters, the general practice is to file the simplified version of the character in the PRC and in traditional characters in Taiwan, Hong Kong and Macau. Oral Chinese is rich in homonyms, i.e., Chinese characters that are conceptually and visually different from each other, but share an identical pronunciation. For example, one standard dictionary lists approximately 80 characters that are pronounced as “li“. Clearly, the wealth of homonyms in Chinese can be useful when considering options for developing a Chinese version of a foreign-language trademark. It can, however, also lead to a number of problems and uncertainty in the clearance process. When a trademark owner is considering the options for creating and registering Chinese versions of foreign-language marks, the following questions should be asked. Does a Chinese version already exist in the relevant markets (PRC, Taiwan, Hong Kong, Macau, Singapore, etc.)? Are the Chinese versions used in these places the same? NB: For these purposes, simplified and complex characters are fundamentally the same. If one or more Chinese versions already exist in the market, who introduced it — consumers, distributors, the brand owner’s own employees? How long have Chinese versions been used in the market, and would it be difficult to replace them with new and different versions? Are candidate Chinese marks suitable in all regions of Greater China from a cultural, marketing and corporate image perspective? Has the brand owner’s trade name/company name already been translated into Chinese, and if so, has the primary trade name been cleared for use as a trademark? Assuming a new Chinese trademark must be developed, should the new mark be a translation or transliteration of the foreign-language mark? Brand owners should first do a bit of homework before mapping out a strategy for handling Chinese marks. A good place to start is with local agents and distributors. They will normally be willing and able to tell you whether they have been referring to your mark by a Chinese counterpart or if such counterpart has developed in the market over the years. If they cannot provide satisfactory answers, it may be necessary to conduct independent investigations through local advisers or consultants. Where the good faith of an agent is in question, it may even be advisable to send investigators to conduct undercover inquiries into the agent’s use of Chinese marks. If a Chinese mark is already being used in the market, trademark advisers should first evaluate the suitability of the mark, as well as its availability for use. Likewise, suitability and availability should be verified with respect to any Chinese marks newly developed by the brand owner’s staff, agents, advertising agencies or other advisers, including trademark lawyers. Serious problems with proposed Chinese marks will very often be imperceptible to people who are not familiar with the linguistic and cultural terrain. For example, “555” is a highly successful trademark for cigarettes in China, but the mark “444” would be deemed toxic from a marketing perspective, as the number “4” is pronounced “si” in Mandarin, and a homonym character means “death”. Prevailing superstitions in Chinese culture have deep roots in language, and the combination of three 4’s together in a single trademark would immediately evoke laughter or fear among Chinese consumers, depending on their level of sophistication — much in the way the Japanese beverage brand “POCARI SWEAT” creates amusement among Westerners. Brand owners generally prefer to develop Chinese-language trademarks that are “transliterations” of the foreign-language marks, i.e., Chinese marks that aurally approximate the sound of the foreign mark. However, it is sometimes difficult to develop transliterations of foreign words due to conflicts at the register and/or linguistic limitations. Likewise, it often makes more sense to develop a Chinese mark that is a translation of the foreign mark and/or the logo which accompanies the foreign mark. For example, “APPLE” renders itself easily and gracefully into “蘋果” (pronounced pingguo, meaning “apple”). When a trademark is a coined word but comprises distinct elements with inherent meaning, it is still possible to go the conceptual route in Chinese. For example, “Microsoft” becomes the distinctive “微軟” (wei ruan–wei meaning “micro” and ruan meaning “soft”). Where a mark has an obvious counterpart in the Chinese language, and given the uncertainties and limitations in the scope of protection of translations of registered word marks, it is often prudent to file applications to register the Chinese version in a wider range of classes than one might in other countries, and for defensive purposes. The risk of non-use cancellations is real, but registry pirates rarely file such actions. Seeking remedies for infringement of Chinese-language trademarks based on registrations of foreign-language marks is typically difficult in the PRC. This is particularly true where the foreign-language mark is a coined term, and cannot be translated directly into Chinese. To illustrate, assuming the brand owner has a registration for “KLIV”, but an infringer uses the company’s a Chinese transliteration pronounced “ke li fu”, relevant authorities would almost certainly refuse to confirm that an infringement has taken place. This limitation in protection for coined foreign-language marks underscores the importance of developing, using and registering Chinese-language versions as early as possible. Pirates are bound to notice the absence of a Chinese version of a famous foreign brand, and where the brand owner has not yet developed its own Chinese marks, pirates will often take advantage of this by creating and filing for Chinese-language homonyms. Naturally, foreign owners of truly “well-known” marks can argue that they are eligible for special protection under relevant provisions of the PRC Trademark Law. However, making a case under this law requires extensive evidence to prove the mark is well-known within mainland China. In this regard, evidence of fame in Hong Kong, Taiwan or elsewhere beyond mainland China will typically be given little or no weight. This again illustrates the need to register all Chinese-language versions of famous foreign marks, and for a wide range of goods and services. Despite the increasing globalization of markets and trademarks and ever rising levels of English-language skills worldwide, Chinese trademarks will continue for the foreseeable future to play an essential role in commerce in the PRC and Greater China for virtually all products and services. Effective market entry into any country requires a detailed knowledge of local conditions. Given their size and importance, the markets within Greater China, cannot be ignored, and neither can Chinese-language trademarks.